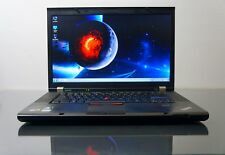 (Lenovo ThinkPad W520 - assembled in the USA. This W520 is used but in EXCELLENT! The laptop will arrive clean and in perfect working order. Max Turbo, 6MB L3, 1600MHz FSB). DVI port only supports Single Link capability. It has been tested & is in great working condition. The laptop is ready to go. Lenovo ThinkPad T530 - Assembled in the USA. 1TB high-performance hard drive (Superior Storage ). Genuine Lenovo (external6 Cell (5.2Ah) ). The machine feels tight and solid and Very High Quality! Windows 10 Professional 64-bit. IF YOU HAVE PROBLEMS WITH YOUR DEVICE At CIT Electronics, we are proud of the service and quality of the products we provide. The unit and any accessories shown in pictures. Grade B Lenovo IdeaPad 330. They have been reset to its original factory settings and are in Grade B great condition. Product will not have any broken or missing parts. Product will include original or compatible accessories and is in good working order. Lenovo 330S-15IKB Laptop: Boost your productivity with this Lenovo Ideapad laptop. Lenovo 330S-15IKB 81F5. Note: This laptop does not include a built-in DVD/CD drive. Processor Model Number: i5-8250U. Light signs of use see photo. Lenovo edge 2-1580. Condition is Used. L aptop s creen will turn off while working, easy fix if taken into technician. Model: IdeaPad 320-15ABR. Hard Drive: 1TB HDD. CPU Make: AMD. Video: Integrated AMD Radeon R7 Graphics. Color: Platinum Gray. Optical Drive: DVD Writer. Pickup hours Kansas City, MO 64120. 1TB HDD (Hard Disk Drive). AMD A12-9700P. AMD Radeon R7. 1366 x 768 ( HD ). WiFi Module Built-in. Bluetooth Module Built-in. Optical Disk Drive. Lenovo T540p with Core I-7 4910MQ @ 2.90 GHz. NEW 1TB GB SSD 3 Year Warranty. 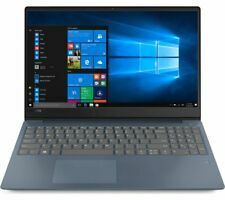 Ending Monday at 11:58AM PDT1d 3hTop Rated PlusType: Notebook/LaptopBrand: LenovoProcessor: Intel Core i7 4th Gen.
Lenovo Ideapad 17.3" (Intel Core i5 7th Gen., 2.50GHz, 8 GB RAM, 1 TB HDD) Lapt…. Condition is Used.HAS A SMALL CRACK ON THE BEZEL PIC INCLUDED NOTHING MAJOR AT ALL JUST A SMALL HAIRLINE.THIS DO NOT HAVE A 1TB SSD IT ONLY HAS A 1 TB HDD.PLEASE READ THIS DOES NOT HAVE A 1 TB SSD. What you see in the pictures is what you will receive. (UNLESS ITEM IS LISTED: AS-IS; BROKEN). Lenovo Flex 5 - 14" with 256GB SSD. Color: Onyx Black. This laptop is in excellent condition. Keys are illuminated. Screen folds back for tablet mode. Tech specs as follows Battery: Up to 10.5 hours of battery life. 15.6" display LED Backlight HD Anti-Glare Display Intel Celeron N3350 dual-core processor 1.10 GHz (with Max Turbo Speed of 2.40GHz) 4GB DDR4 SDRAM system memory (expandable to 16GB) Gives you the power to handle most power-hungry applications and tons of multimedia work 4 hours, 30 minutes of battery life Long-lasting battery life gives you all day to access your photos, videos, music and documents Intel HD Graphics 500 Weight: 4.84 lbs Thin design you can easily take on the road DVD-RW Watch movies and read and write CDs and DVDs in multiple formats 10/100Base-T Fast Ethernet, 802.11ac Wireless LAN Connect to a broadband modem with wired Ethernet or wirelessly connect to a WiFi signal or hotspot with the 802.11ac connection built-in. Also very new and it the best condition. Condition is used but laptop works fine and has not given me any issues .Has very little scratches and the casing under the laptop monitor wiggles a bit but has not effected anything. If you have any questions PLEASE ask. NO RETURNS. Feel free to send offers . 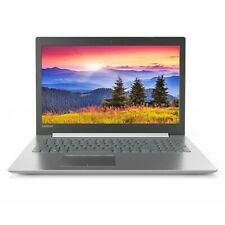 Lenovo IdeaPad 320 Laptop, 15.6" HD Display, AMD A12, 8GB RAM, 1TB HDD. AMD Radeon R7 - Platinum Gray. AMD Radeon R7. Lenovo 320-15ABR Laptop: Organize and simplify your life with this Lenovo Ideapad laptop. 8 GB Ram, 1 TB HDD, 2.50 GHZ. Great deal available on this one only. Excellent Working Condition. Brand: LenovoProcessor: Intel Core i5 7th Gen.
LENOVO G505S-AMD Radeon(1tb, 2.4 GHz, 8gb). Condition is Seller refurbished. This works fine, i just have a desktop now so no need for it. I have a Lenovo monitor that I will be uploading as well with a bundle pack. Serious inquiries only please! Trending at $284.88eBay determines this price through a machine learned model of the product's sale prices within the last 90 days. 1TB hard drive for ample file storage space. Lenovo L340-17IWL 81M0. Prioritizes screen size without sacrificing portability, so you get lots of viewing space without the laptop being too hefty to move around. I am also including a Lenovo USB stick, which will allow you to reset the laptop to it's factory settings. Model: IdeaPad 320-15ABR. Hard Drive: 1TB HDD. CPU Make: AMD. Video: Integrated AMD Radeon R7 Graphics. We are not an authorized dealer of this product and any warranty included with the product may not be honored by the manufacturer. PURPLE 15.6Inch Laptop 4GB Windows 10 1TB Hard Drive Lenovo Ideapad NewYear 2019. Condition is New. Shipped with USPS Priority Mail. LENOVO IDEAPAD 110-15ISK | INTEL CORE I3-6th Gen 4 GB Condition is Used. Shipped with USPS Priority Mail. Lenovo IdeaPad Y510p 15.6in. (1TB, Intel Core i7 4th Gen., 2.4GHz, 8GB).... Condition is Used. Shipped with USPS Priority Mail. The laptop is in fair condition, everything still works fine. The needs to be replaced soon. A little opening on top left corner. Move with the screen. Comes with charger. ThinkPad T410. 1TB 5400RPM. 2x 4GB = 8GB DDR3. Hard Drive. Optical Drive. All components have been tested by certified technicians and all key functions are working and ready for RESALE. Windows 7 Pro COA sticker. This item is brand new sealed box we will never accept return if you break the seal NEW Lenovo IdeaPad 15.6" Quad-Core AMD A12 3.6GHz 8GB 1TB HDD DVD Windows 10. Condition is New. Shipped with USPS Priority Mail. Lenovo 81DE00T0US 15.6" Laptop (Plum Purple). The newly redesigned IdeaPad 330 is as powerful as it is easy to use. User Manual. Audio jack. Color Plum Purple. Optical Drive DVD-RW. Storage 1 TB 5400 RPM. AMD Radeon. 1000 gigabytes. Headphone Jack. Hard Drive Capacity. Battery Life. 1366 x 768 (HD). Windows 10. Optical Drive Type. Lenovo ThinkPad X240 i7-4600U @ 2.1 GHz 1tb hd 8 GB Windows 10 Professional "Not Active". Used and working.